A wonderful thank-you note came to our office from the school readiness staff and students of Lake Park Audubon School. 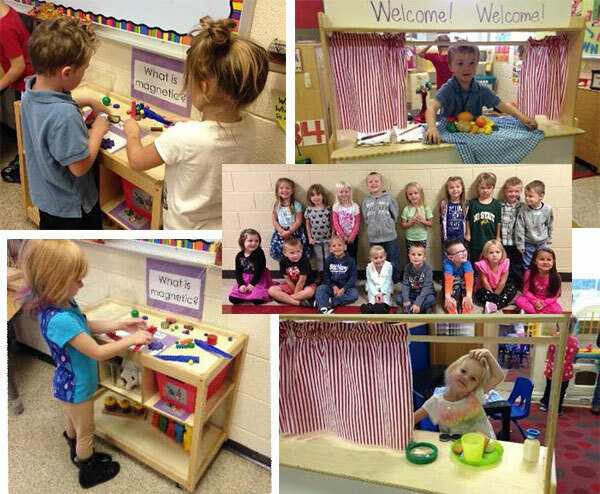 A grant from the Lake Park Audubon Legacy Foundation, a fund administered by West Central Initiative, helped the preschool teachers purchase a puppet theater and science table for their new classroom. "We had a puppet theater in our classroom for many years and it had to be thrown out a little over a year ago. We missed having one in our room last year, and the new theater has been a big hit as a restaurant window already this year. We have plans to turn it into a fire station, pumpkin patch check-out, Santa’s workshop and Dinosaur land. It is a wonderful piece of equipment that is used in our classroom on a daily basis," the letter said. "The science table has been a big hit. This is another piece of equipment that is used daily in the new preschool classroom. The teachers change the items with the themes. We are currently exploring magnets, but will change it bi-weekly and investigate things like apples, pumpkins, gourds, leaves, acorns, pinecones and even caterpillars and butterflies. It is a great learning tool for all of the kids." Chances are, there is a WCI charitable fund in your west central Minnesota community doing great things to make it the best place in which to live, work and raise one's family. Find out more at http://wcif.org/give/funds/.